Summary: I have walked many places in the Yorkshire Dales but this one is most definitely one of my favourites. 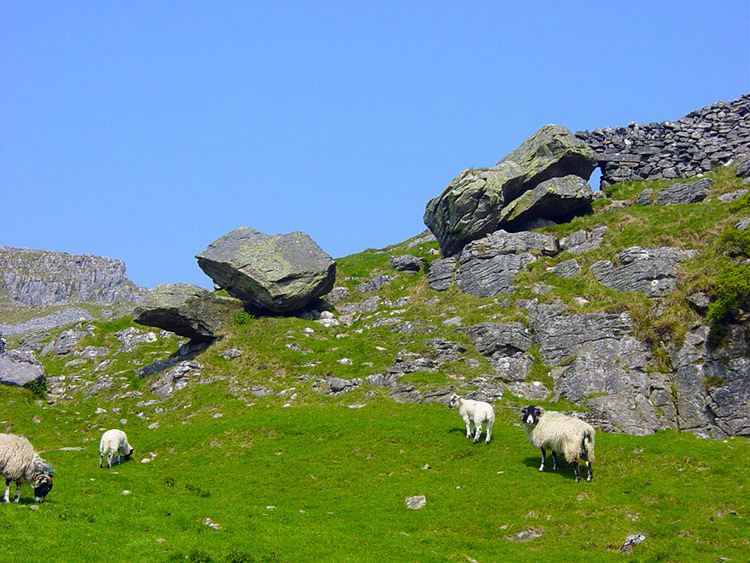 The walk is very special to me for it includes an excursion into the Norber Erratics. 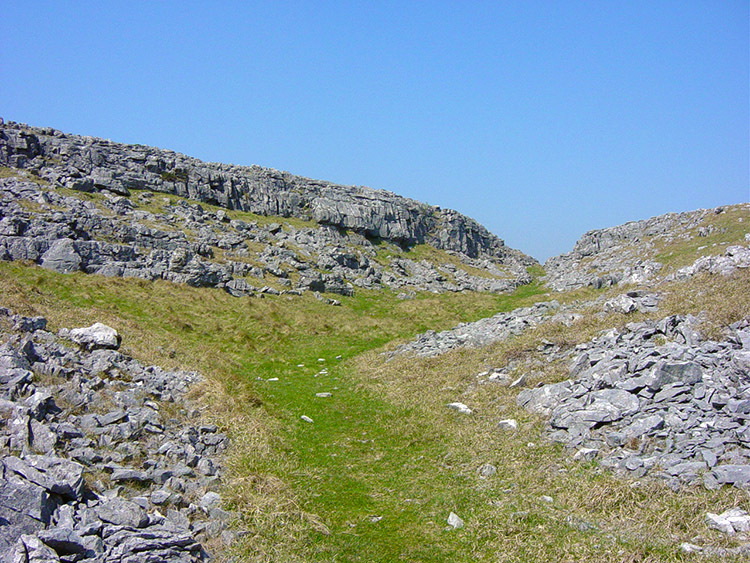 This is a wonderful place where Silurian Sandstone boulders stand atop younger limestone. They are an incredible spectacle. From the Erratics the walk continues to Crummack Dale with views of the weird Moughton Scar where red and green whetstone lay completely flat creating the most eerie sight. To complete this super walk the finale is a drop into Crummack Dale and a lovely amble back to Wharfe before returning the Austwick. 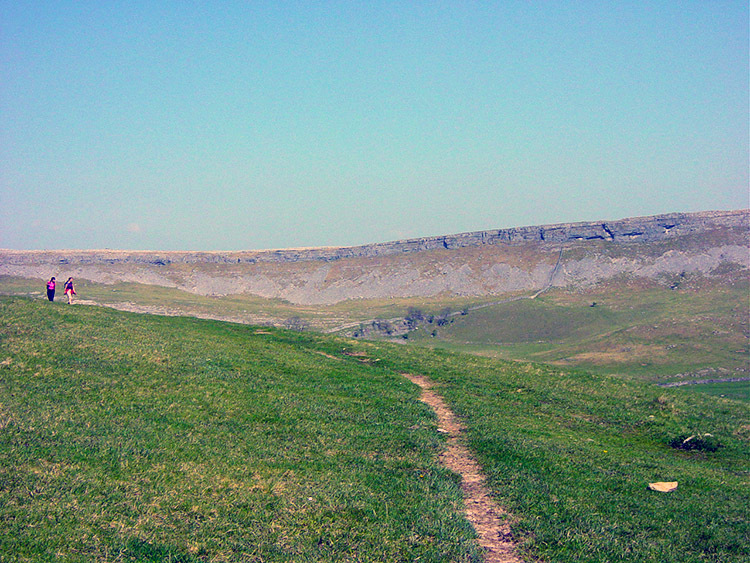 The walk started at Austwick and it was a beautiful day. There could not be better conditions for this leisurely and interesting walk through time for as I walked up the road out of the village I anticipated the joys of walking around the Norber Erratics. After a half mile walking I was climbing up the side of Proctor Scar and onto the level where the best of the Norber Erratics is to be enjoyed. The Silurian greywacke 'erratic' sandstones of the Ordovician Age are some 430 million years old and they cover the area. 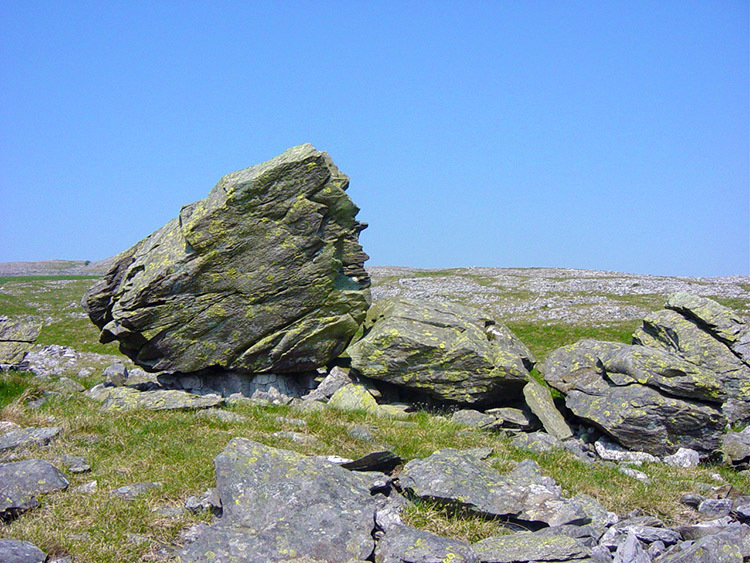 The scattered rocks and stones are called erratics because they are not in their proper geological position. They sit resplendent on top of carboniferous limestone some 100 million years younger having been lifted up through the more soluble limestone by glacial shifts. It is easy to tell them apart from the clear difference in colour. The sandstone is covered in green lichen and the limestone in white lichen. 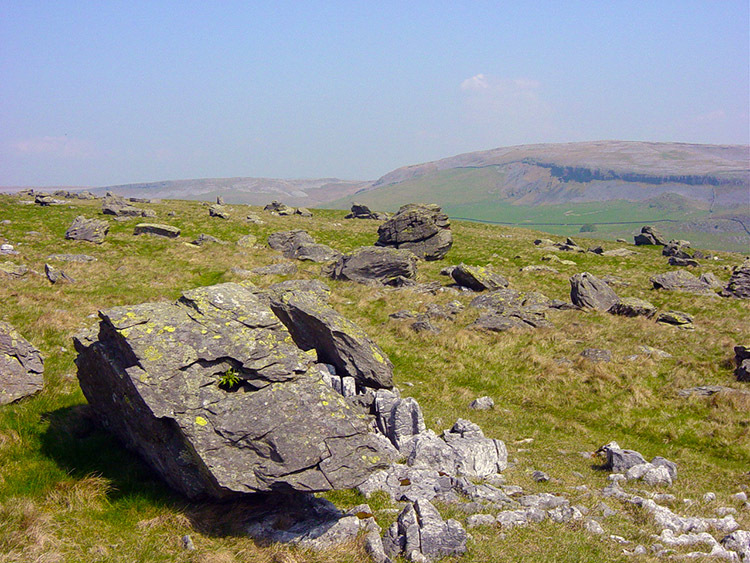 The Norber Erratics are a breathtaking sight to behold and one I lingered with for ages as I wandered around the area above Proctor Scar and Nappa Scars. I had my lunch sat among the best of them and took it all in. As I sat I contemplated "This is the place for me". I left the erratics hesitantly. 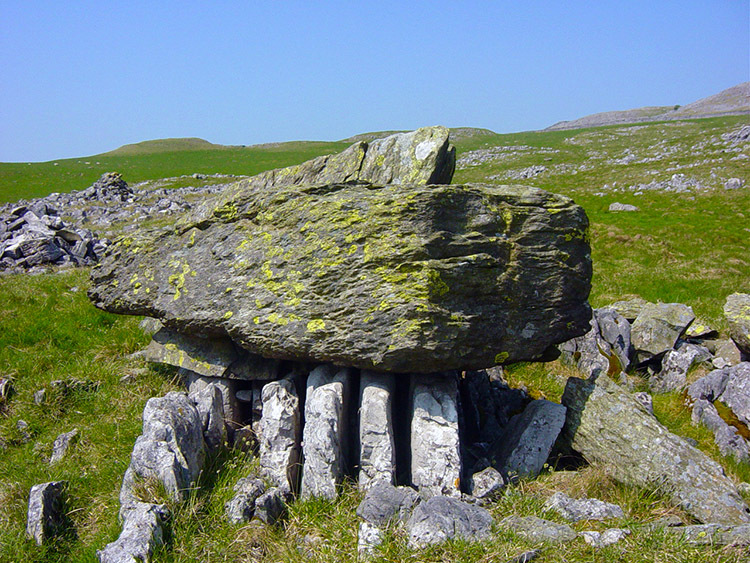 After the superlative Norber Erratics I walked north onto Thwaite Scars and had another super time. 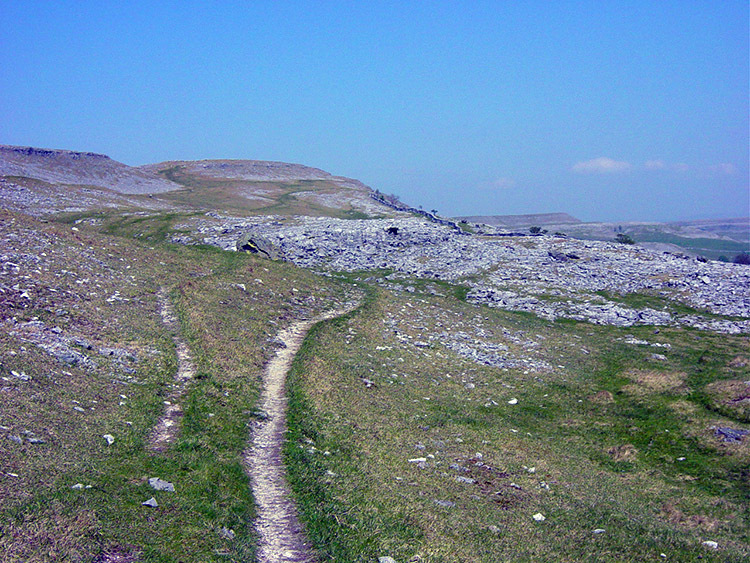 On Thwaite Scar the views are incredible. 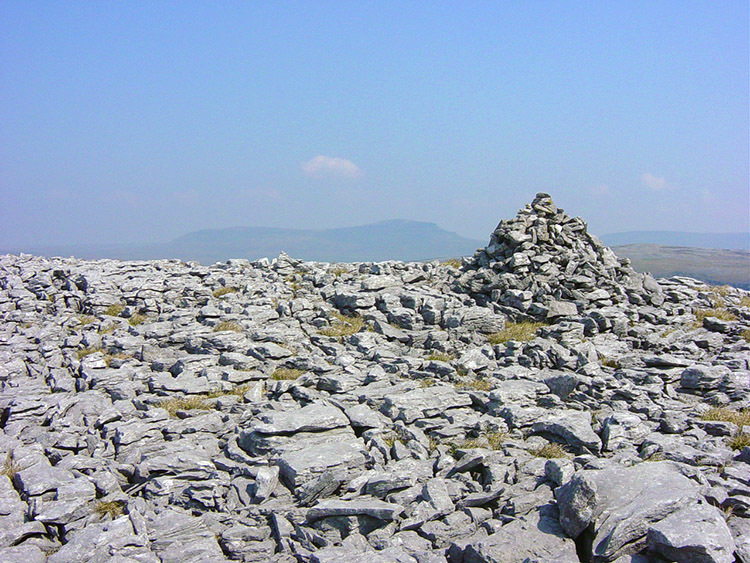 To the north west there is a clear view of magnificent Ingleborough with its distinct table top summit. 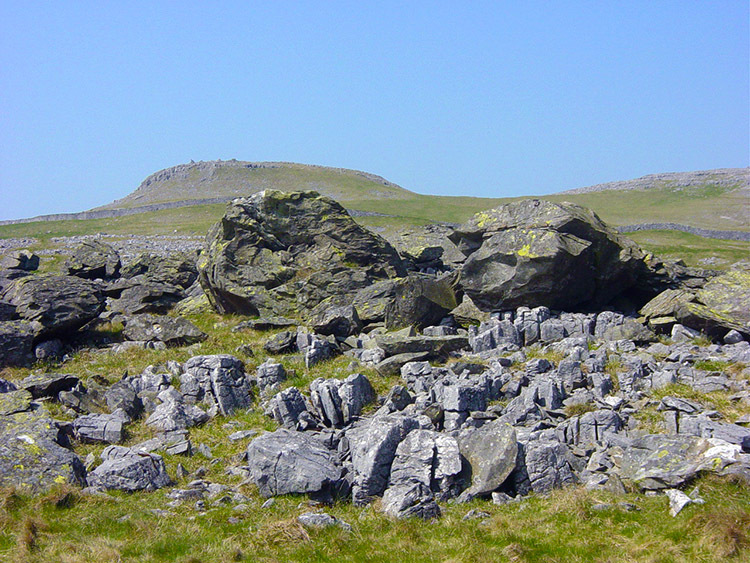 due north are the limestone outcrops near Sulber Gate. 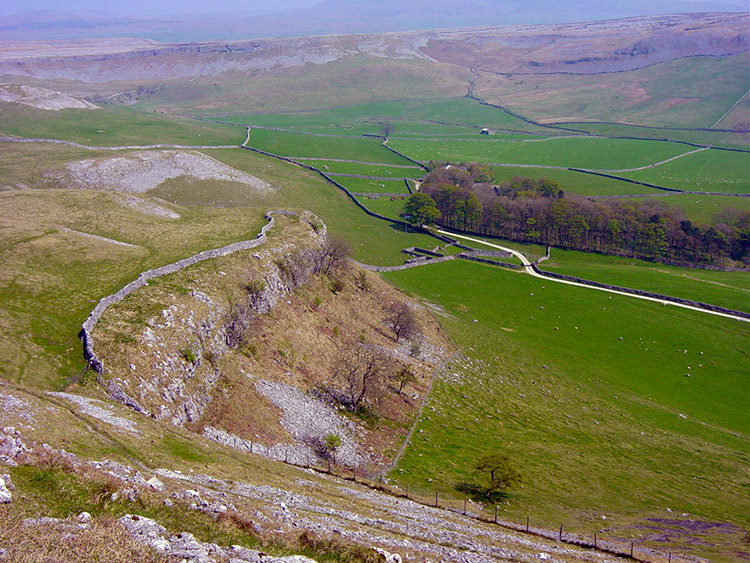 Move the eyes to the east and Moughton Scar begins to beguile. Looking beyond them affords marvellous clear views of Pen-y-ghent. I was in ecstasy as I looked around the brilliant panorama. 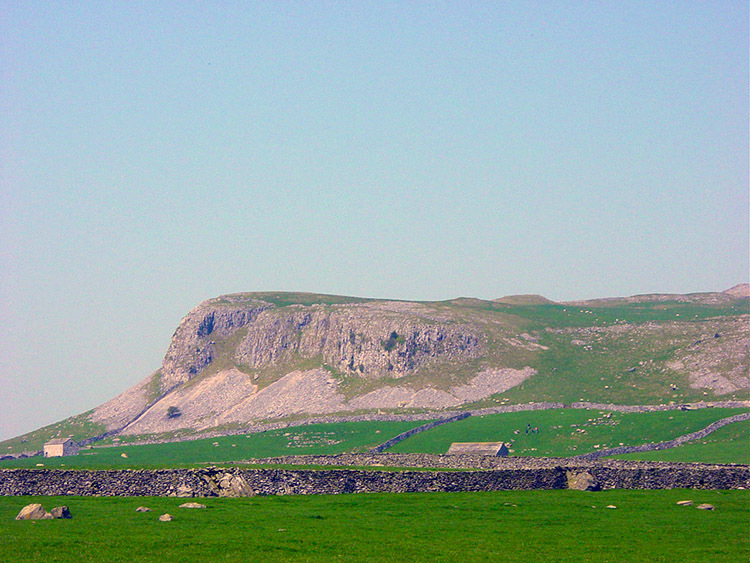 After the feast on the eyes looking across Moughton Scars to Pen-y-ghent I danced over the limestone as I crossed the scar and then for a second time moved hesitantly on. I could have spent a day on this walk. As it was I had three hours to complete it as Lil and her mum were lunching in Settle. It was now approaching 2pm and I had promised to be back by three. Oh well, resolved to be back very soon. 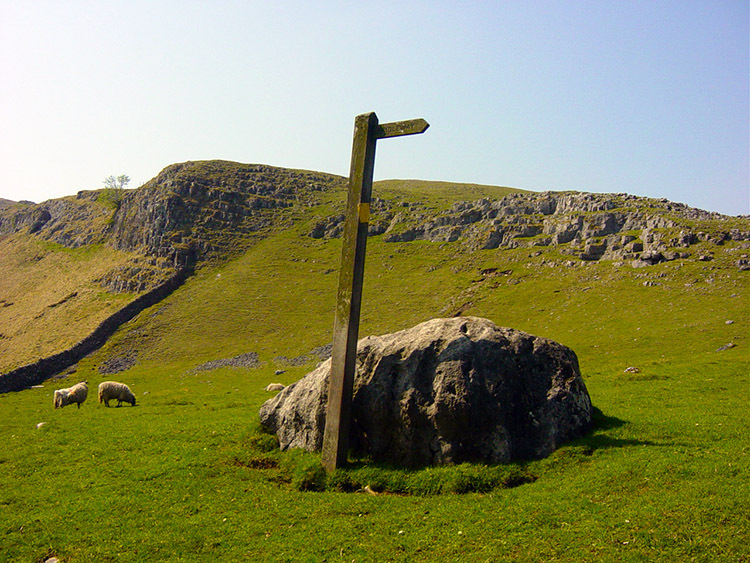 I walked on following the contours towards the head of Crummack Dale and Moughton Scar at Sulber Gate. This is another incredible place for views of the limestone as Moughton Scar has a whetstone plateau that is covered in red and green and black. 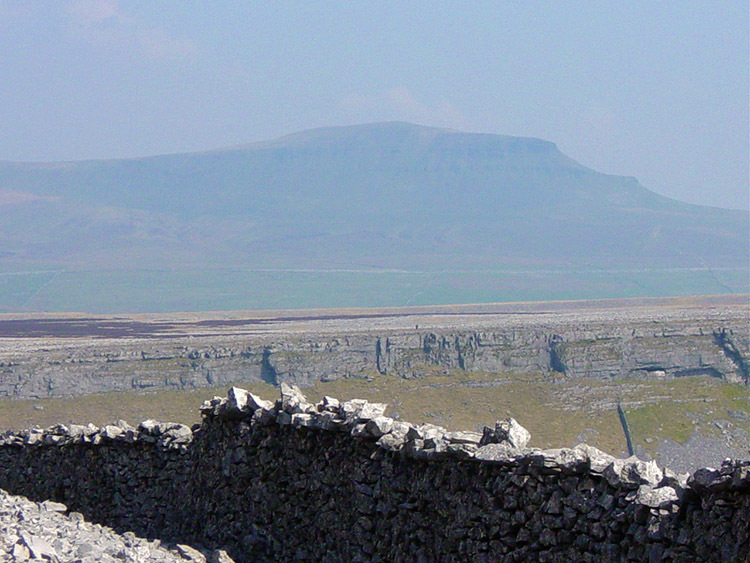 Its a fantastic sight to behold and I focused on it for as long as I could while looking to Pen-y-ghent in the distance and then I decided to track around the edge of the scar from Sulber Gate across Thieves Moss to Beggar's Stile Cairn and on to Capple Bank. 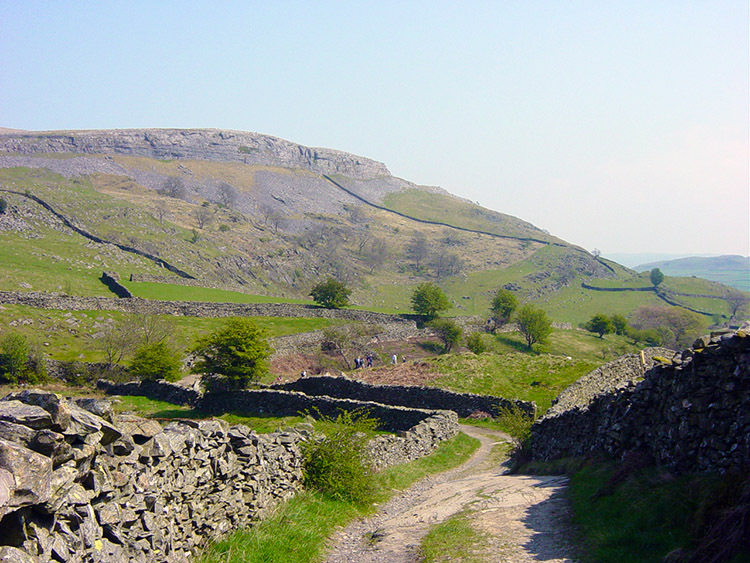 This route led me to the path linking Horton Quarry with Crummack Dale which I followed to Hunterstye. After the fun on walking on the edge of the surreal Moughton limestone table I promised myself next time I will give myself more time and walk on the plateau of the scar itself. After Hunterstye the walk through Crummack Dale was easy and pleasing on the eye as I looked out at the views of the scars enclosing both the west and east sides of the valley, each side providing interesting features. After Crummack Farm a track is joined and after half a mile I cut off left at a fork that led me towards the hamlet of Wharfe. This track to Wharfe is enclosed by walls but full of interesting views and after a few hundred yards a stream is crossed. 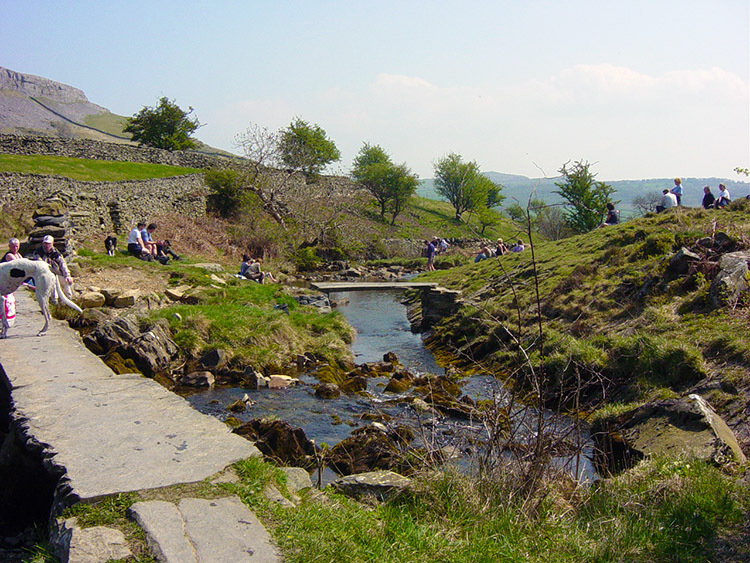 If it's a pleasant and sunny day there will be lots of families here enjoying the scenery and paddling in the stream. It was sunny and there were about 100 people enjoying themselves. After exchanging pleasantries with a few of the crowd I walked on and continued along the track as it narrowed to a single path on the descent into Wharfe. 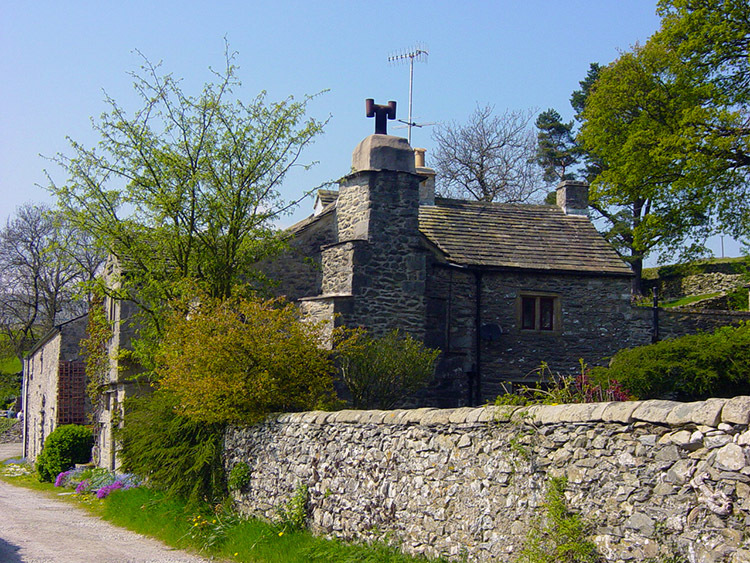 After a few moments admiring the well structured stone dwellings of the hamlet I moved on once more and completed my journey. It was a fantastic journey and as I ambled back that last half mile I was already looking at the map and planning how best to making my thorough exploration of Moughton Scar.